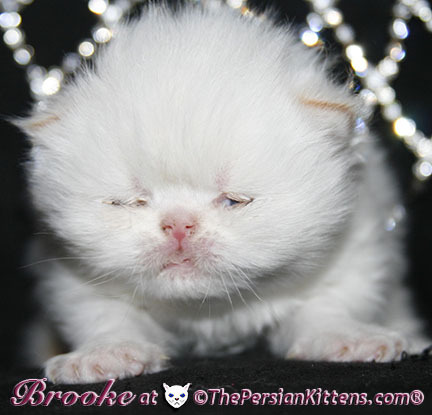 Brooke was the first born at 10:58 pm and weighed 99 grams at birth. 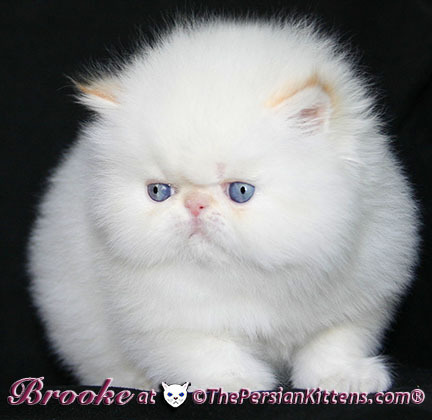 Brooke is a Flame Point Persian Kitten. 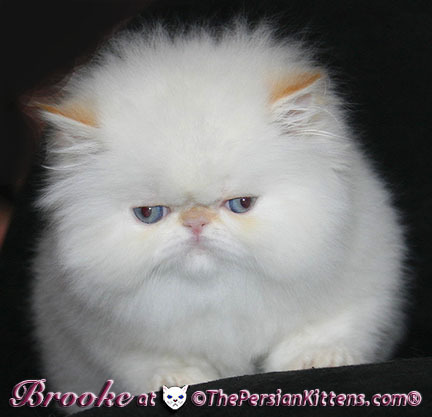 Brooke is a very spunky kitten. When I rub her neck, she awakes and pops her cute head up, and starts talking to me. 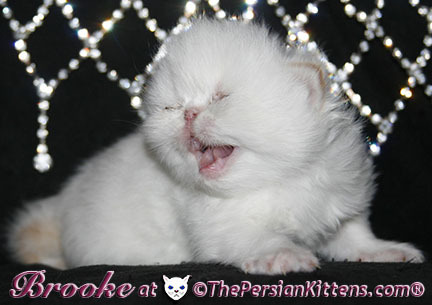 Brooke is a very confident kitten. 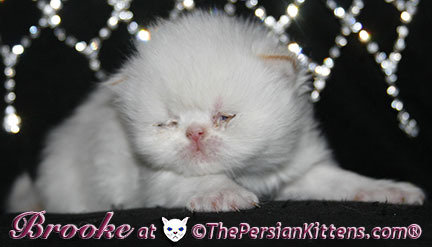 This little girl is over 800 grams at 7 weeks! She is so healthy. She is walking all around the room, and went from walking in one week to romping the next. When I pick her up I put her near my chest so she can hear my heart beat, and she relaxes and starts to purr. Then I hold her in my left hand and stroke her body. I like to kiss her whole face, and she meows. She has such a great nature. Brooke started playing at a week and a half. 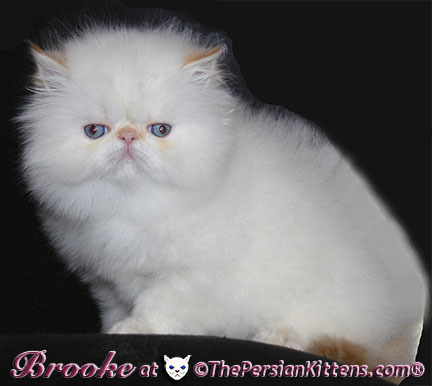 Brooke is very talkative, and is a mommie's girl. Brooke will be a medium persian cat and will weigh 5~7 lbs. 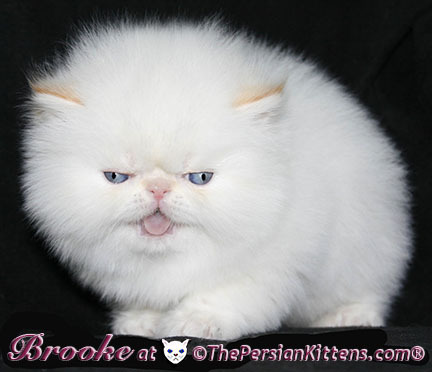 Brooke has a lot of energy. She is very special and sweet. 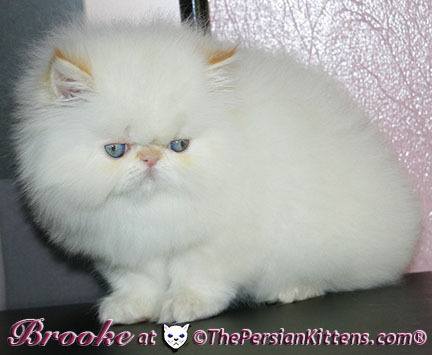 As soon as I touch Brooke, she rolls around, she is a very playful bright kitten. 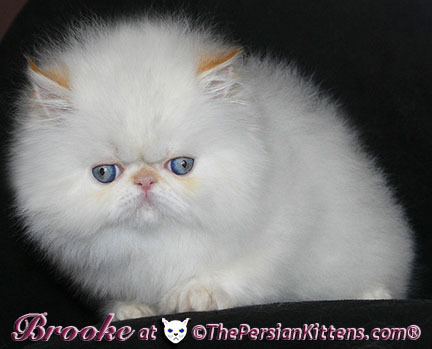 Brooke was the first kitten to climb the pet stairs and cuddle in bed with me. She will sleep all night long with me. 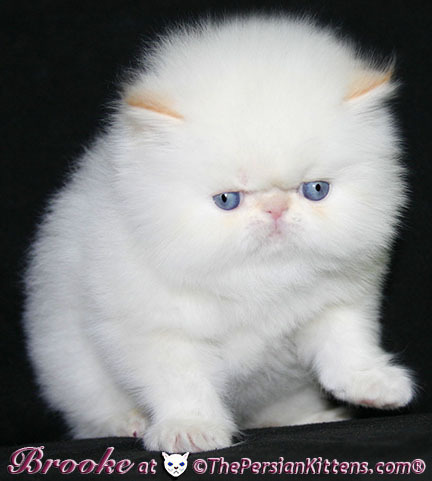 I will wake up during the night and kiss her and pet her and she gives me the same raspy "Meow" that her mother Petulia has. 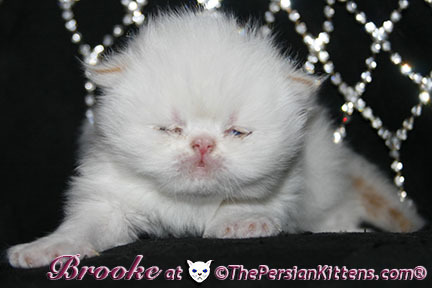 Brooke has a very cute and very round face-she will be gorgeous and have the best attributes of both parents! She will have Electric-Sapphire Blue eyes, he will be outrageouly gorgeous! 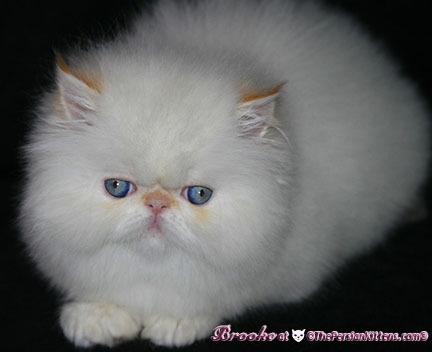 Brooke will look like Daisy,& Mandie. 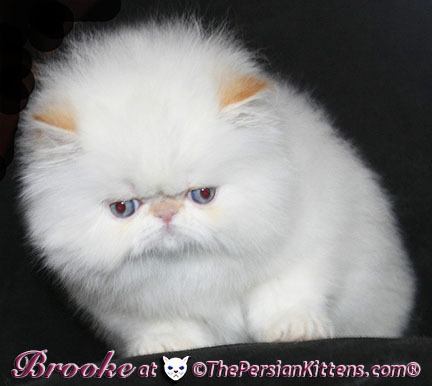 Brooke is Available for Adoption! 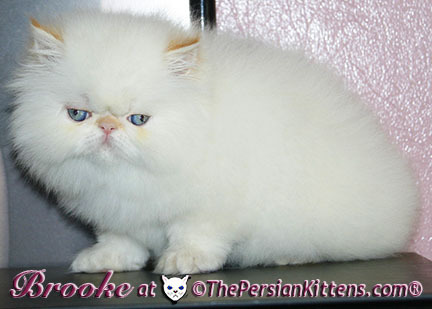 All Three Part 1 Persian Kitten Video at 6 weeks old. If video doesn't load click here. 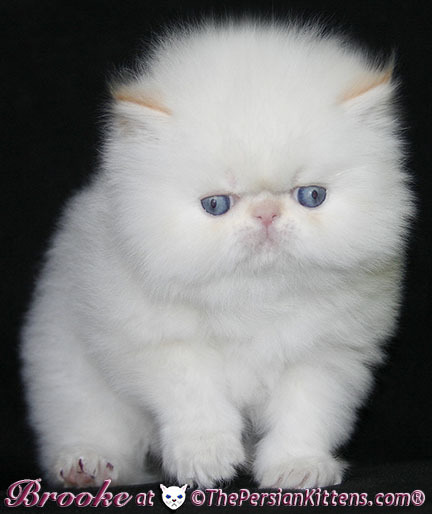 All Three Part 2 Persian Kitten Video at 6 weeks old. 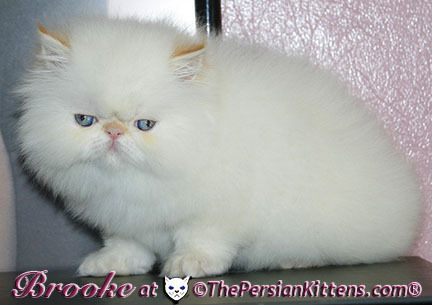 Brooke and Nikita on Laserball Persian Kitten Video at 6 weeks old. 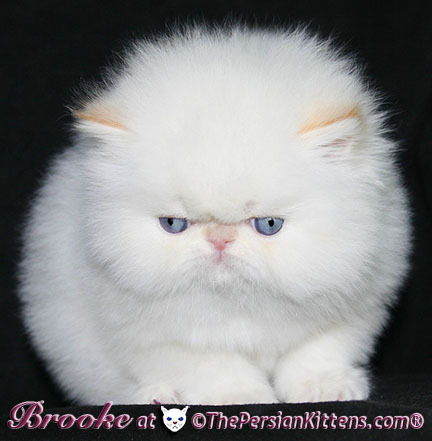 Brooke Petting Persian Kitten Video at 5 weeks old. 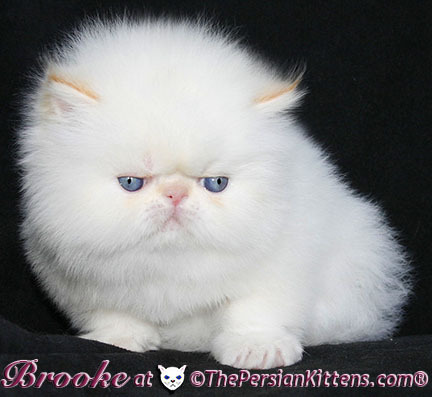 Brooke Doing High Fives Persian Kitten Video at 5 weeks old. 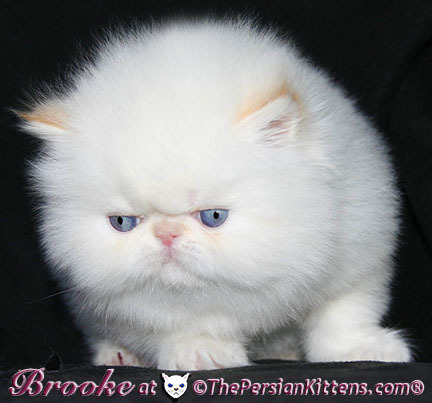 Jordan & Brooke Cat Fighting Persian Kitten Video at 5 weeks old. 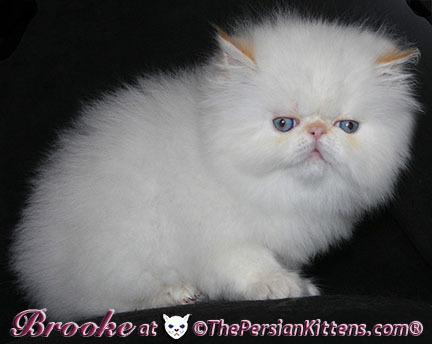 Brooke and Nikita Playing With Me Persian Kitten Video at 4 ½ weeks old. 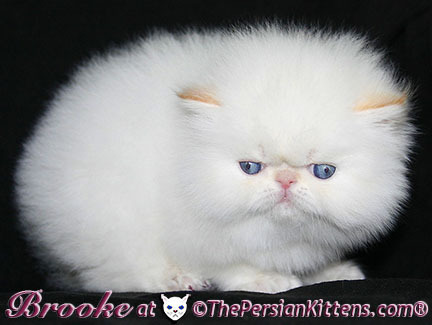 Kittens Nursing Persian Kitten Video at 4 weeks old. 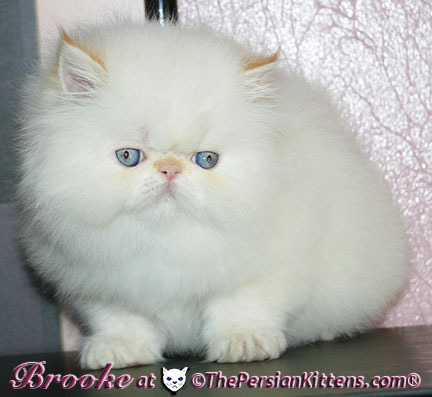 Brooke Learning to Walk Persian Kitten Video at 3 weeks old. Brooke being kissed by me Persian Kitten Video at 2 ½ weeks old. 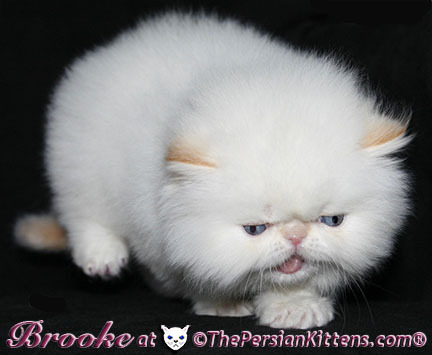 Brooke First Walking Persian Kitten Video at 2 weeks old. 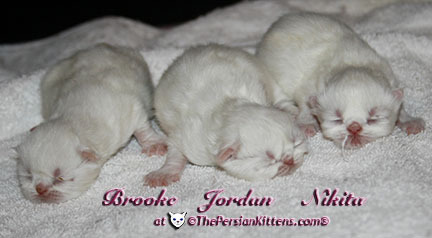 Persian Kittens Nursing Video at 1 week old. 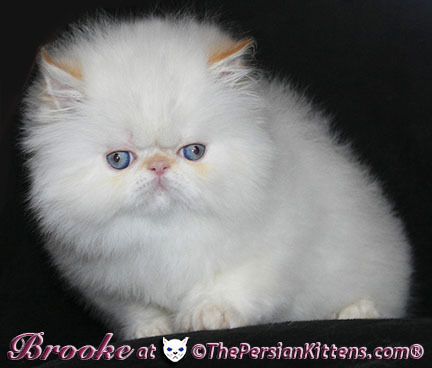 Persian Kittens © Brooke has a cobby body and short legs~Champion features ! 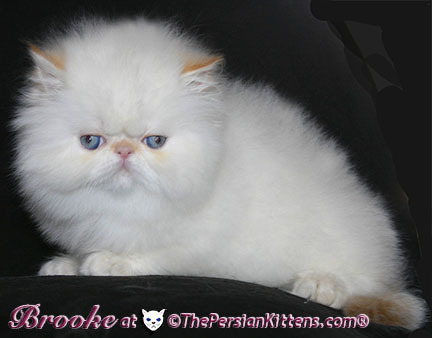 Persian Kittens © Brooke has long whiskers which means he's going to have thick fur! 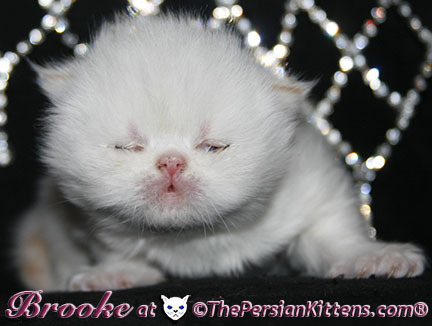 Persian Kittens © Brooke a pretty newborn at a few day old ! 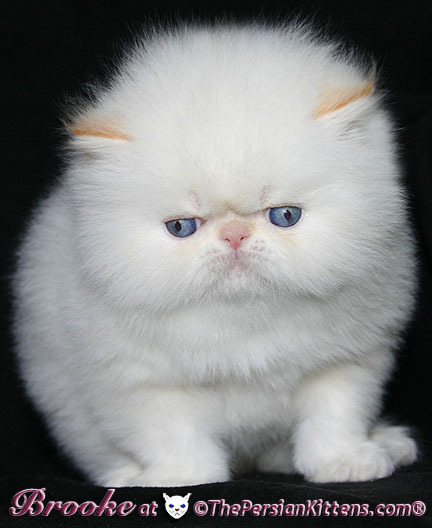 Copyright © 2017 The Persian Cats ® All rights reserved.